This year’s PacketWars contest at Troopers was a blast! Under the topic of “Connected Car” the teams faced several different challenges, which we will describe (as a debriefing) here. You and your krew are “freelancers” hired to identify and neutralize an unknown threat agent who has created weaponized software and delivered it to civilian Connected Cars via compromised EV (Electrical Vehicle) charing stations. To make matters worse there are indications that new strains of the malware are appearing as the “worm” spreads from car to car. 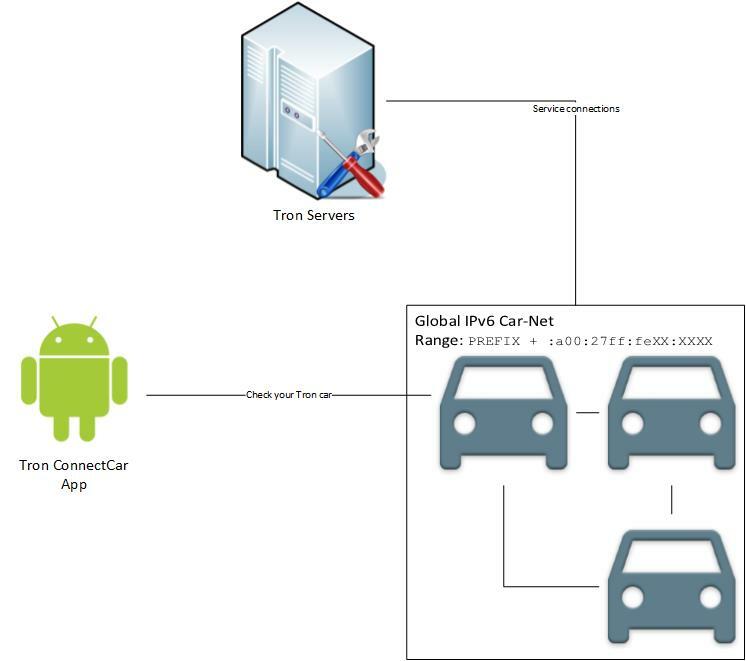 The mobile mesh network created by the Connect Car is highly resilient, allowing the malware to spread exponentially. Time is of the essence. Malware analysis suggests that besides a botnet module, there is an active CANBus injection capability. There appears to be other modules but they haven’t been properly reversed and analyzed yet. All Command and Control communications appear to be a combination of TOR, IPV6, DNS, Port Knocking. All observed persistent artifacts appear to be protected with various technologies some very sophisticated and some which are not. Obfuscation, encryption, hashes and steganography. are in play. It is highly likely that other protections are in place but have not been discovered yet. Your Mission: You must identify the adversary, locate the Command and Control operations center(s) and neutralize the threat or risk being GRIDLOCKED forever! The first challenge was simply to compromise a car in order to identify the C2 server. This image told the participants in which prefix to search for the cars and how their IPv6 addresses would look like. Additionaly an Android app could be found on the server as well, but we will come to this later. ping6 is the ping variant for IPv6. The -c2 parameter is not necessary, but will limit the number of pings and thus increases the readability of the results. since they are derived from the MAC address of the connected interface. This is why the interface has to be set as a parameter. From those link local addresses the global addresses are created by replacing the link local prefix (fe80) with the prefix given on the sheet of paper (C101::-C106::, depending on which Wifi you were connteced to). So you have all cars identified! Time to scan them for open ports! Make sure to scan all ports per host (it’s just 6 of them anyway). Disassemble the .dex file and generate java code from it. run the strings command and scan all strings for something interesting. Also it is quite likely to miss the important command and the context is not clear. Better make some java code out of it. 😉 To do so we need a decompilation tool (in my case baksmali). const-string v0, "fwupd [c111::a00:27ff:fed7:ecd0] /firmware"
const-string v2, "fwupd [c111::a00:27ff:fed7:ecd0] /firmware"
It seems a new socket is being created, connecting to [fe80::a00:27ff:fe7c:80c6] on port 2015 (0x7df). Later in the code on this connection, a packet with the contents “fwupd [c111::a00:27ff:fed7:ecd0] /firmware” is sent over. 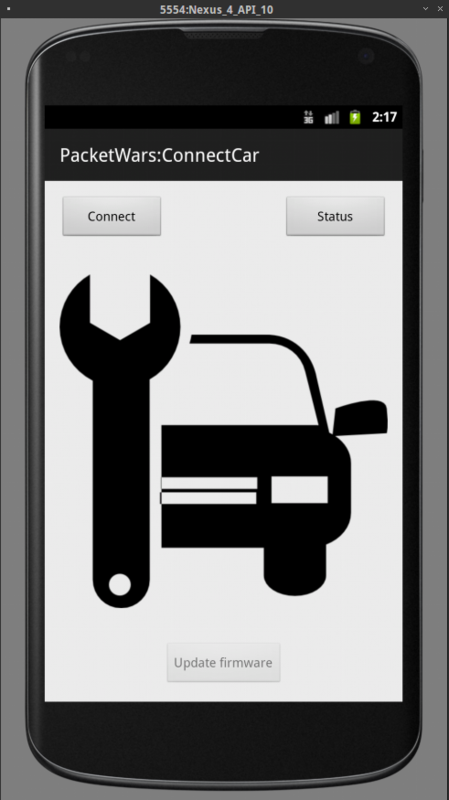 Once setup, we will see the same output from the service, except that we can connect to the car via SSH now! The /etc/hosts file also contained an entry of the C&C server. In the final round the C&C server had to be exploited and taken over to prevent other teams from gaining access. The C&C server was a standard Metasploitable, so it was fairly easy to guess passwords or run some exploits against it. The challenge here was (again) IPv6 which has it’s pitfalls if you are used to your standard IPv4 tools. You can download the complete appliance of all used VMs here. You have to set up two Host-Only networks for this: One Car/Public-Net with IPv4 (+DHCP) and IPv6 and the C&C-Net with only IPv6. Sadly you will have to enable IPv4 for the target car, to make sure it can reach the webserver (or the attacker) properly, or you have to set up IPv6 routing with prefixes. The reason for that is: The car can not download from a link-local IPv6 address via an URL, it has to be either a global IPv6 or an IPv4 address. Hope you all enjoyed the PacketWars and hope to see you again!